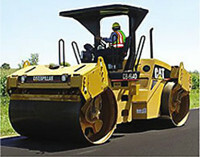 Thanks to a company wide dedication to quality, cost efficiency and safety, Antioch Paving has earned a solid reputation among Bay Area and Central Valley General Contractors, Developers, municipal engineers, purchasing agents, property managers, and homeowners. Now under the management of a third generation of the Allison family, APC is aggressively pursuing a plan for controlled growth. With all indicators pointing toward substantial volume increases in the coming years, Antioch Paving has dedicated itself to initiating and developing relationships with new clients, as well as strengthening and building upon our relationships with our valued existing clients.